Hey, beauties! When it comes to buying makeup, eyeshadow palettes are probably my biggest weakness. I absolutely love collecting them, although it's rare that I end up liking every shade that's included. 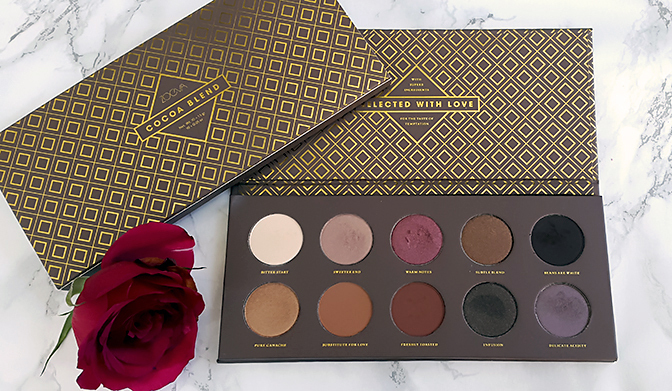 When I saw a few of my favourite beauty gurus rave about this gorgeous Cocoa Blend palette by Zoeva, I knew I just had to have it. I was immediately drawn towards the warm tones and the elegant packaging, plus the selection of shades seemed so unusual and versatile. Today, I'd like to share with you my thoughts on this gorgeous palette... And as you can probably guess from the title - it is a favourite! Inspired by delicious chocolate treats, Cocoa Blend features ten warm, versatile shades, ranging from milky beiges to charcoal browns. The packaging makes me think of a luxurious chocolate box with sweet treats hidden inside it. The brown and gold colour theme is incredibly elegant, and the packaging itself is sturdy despite being made out of cardboard. 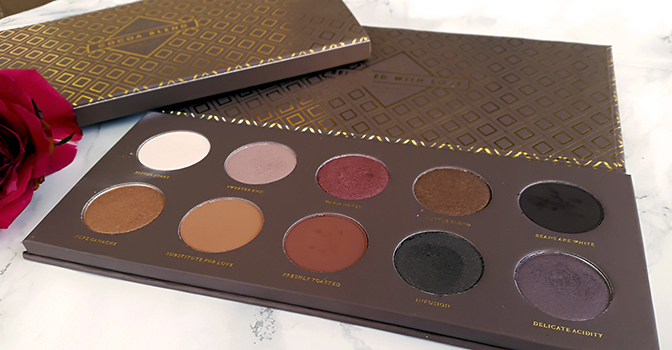 This palette doesn't include a mirror or brushes, which is standard fare for Zoeva. Personally I don't really mind that, but it might be disappointing if you're looking for more of an all-in-one palette. I can honestly say that this eyeshadow formula is one of the best - if not the best - that I have ever tried. The quality is absolutely top-notch, rivaling some of the more expensive and popular brands, such as Urban Decay or Benefit. The eyeshadows have a creamy, velvety texture, and are very easy to apply and blend with zero fall-out. The colour pay-off is exceptional even without a primer - every single shade is incredibly rich, vibrant and intense, so a little bit of product goes a long way. Furthermore, these eyeshadows offer amazing longevity - you don't even need a primer to make them last all day (about eight hours longevity without a primer). Having said that, I'd still recommend applying a little bit of primer first to really bring out the intensity of these gorgeous shades. With my Urban Decay Primer Potion, these eyeshadows looked just as flawless and vibrant after fourteen hours of wear, as they did when I first applied them. Bitter Start. The lightest shade in this palette. This is a delicate, milky beige with a semi-matte finish. I like using this to highlight the inner corners of my eyes. Sweeter End. One of my favourite shades for casual wear. This is a golden beige with a shimmery finish, which works beautifully as an all over lid colour. Warm Notes. This is a unique, beautiful and wearable cranberry red with a shimmery finish. This probably my favourite shade in the entire palette - it's so vibrant and unusual! Subtle Blend. A slightly dark, golden bronze with a shimmery finish. Beans are White. A very dark brown with cool undertones and a matte finish. This is probably my least used shade in the entire palette, but it works well when applied wet as an eyeliner. Pure Ganache. This is gorgeous, warm bronze with a shimmery finish. Substitute for Love. A warm, orange brown with a matte finish. Freshly Toasted. One of my favourite matte shades ever! This is a dark reddish brown; slightly unusual but very wearable. Infusion. A gorgeous, charcoal brown with golden shimmer. This works beautifully when applied wet if you want a 'sparkling' eyeliner. Delicate Acidity. A subtle taupe brown with a shimmery finish. I like combining this with Sweeter End for a casual smokey eye look. Overall, I can honestly say that this is one of the best eyeshadow palettes I've ever used, and definitely my favourite one at the moment. I really can't think of anything I dislike about it - the packaging is sturdy, the shades are gorgeous, heavily pigmented and easy to work with. 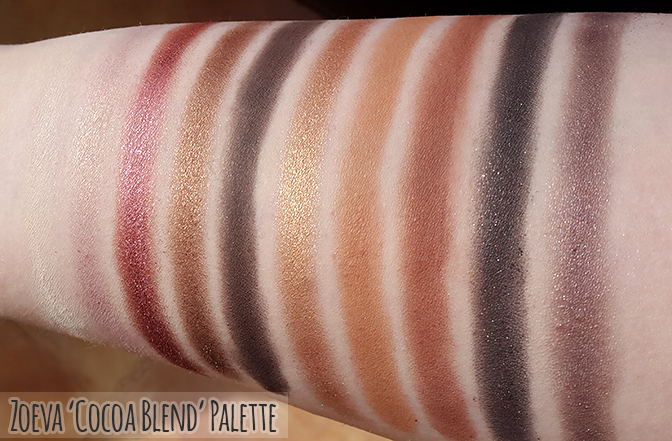 If you're looking for a versatile, warm-toned eyeshadow palette that's also very affordable, you should definitely check out Cocoa Blend! I've had more fun with this than any other palette in my collection, including any of the Naked palettes. This is an honest, straight up 10/10! Where can I find it? 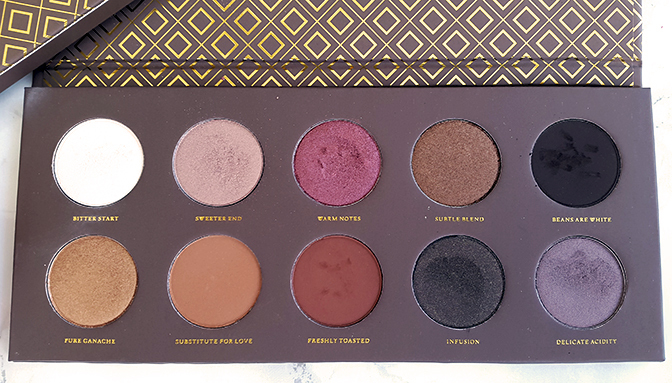 You can purchase this palette on the official Zoeva website here, although depending on where you live, you may end up paying quite a lot for shipping. If you're in the UK, I recommend purchasing it from BeautyBay (not sponsored!) - they sell if for £18 including free delivery. Have you tried any eyeshadow palettes by Zoeva?